Proudly showing you the Anipal Acadamy Award I received in May, 2012 for being “graphically talented”. I honestly think that Twitter is the best invention since the snap thingamabob on cans of tuna, especially for anipals. I’ve learned so much since huMum got me hooked in June 2010, especially the geography and customs of other countries. One point I find truly amazing is that, worldwide, cats are beloved by their humans. I figured I’d got lucky when I found huMum but she is just one of millions of humans whose lives revolve around ensuring that we cats are pampered day and night. Yes, I can see all my cat furiends nodding in agreement as they know we cats deserve only the best noms, comfiest cushions, the most exciting toys to play with at 3:00am, fresh nip, cardboard boxes and cosy blankies. Humans seem to be able to provide all these treasures and, in return, all they expect is the occasional purr, knee rub and, if we are in a really good mood, a cuddle while they scritch our ears. I know I’m rambling and the topic is about Twitter but I needed to set the scene. The anipal kingdom on Twitter is not made up of weird humans living vicariously through their animals. It is actually we anipals who are typing the Tweets, albeit with some human assistance. We have our own language too, which humans find very hard to comprehend. For example @GeorgeTheDuck quacks QOL, @JanisFelidae miaows MOL and @PuppyNumber7 barks BOL; what’s not to understand about that? I’m going to get a little deep and meaningful now so if you tend to be easily bored please feel free to use my blue velvet cushion and have a nap. The anipal world on Twitter is very loving, caring of others, supportive in illness or when a furiend is lost and, most of all, attentive when Mother Nature or humans cause havoc. We are so unbiased with regard to gender, race, religion or political ideals that these topics rarely enter our conversation and, if they do, the majority of us yawn and take a nap. We have FUN and if, along the way, we manage to earn some Dollars, Euros or Pounds for a worthwhile anipal cause then bravo for us! The magic of the #pawcircle has been proven time and time again; even when a furiend travels OTRB or a human passes away, its’ support cannot be denied. 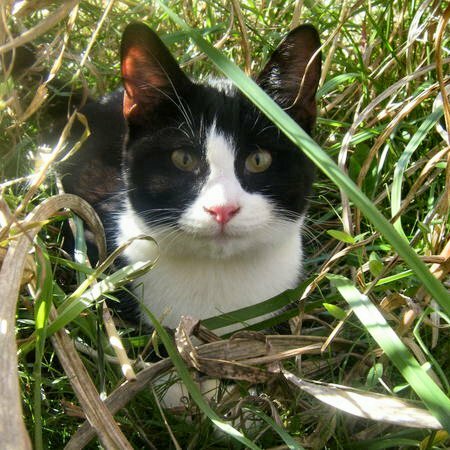 From my heart I give a special thank to @danapixie for always keeping us informed and, also, to @TigerBoyTheCat who takes over when Ms. Dana is on holidays. I’d be so remiss if I didn’t mention the tireless work of @PepiSmartDog assisting anipals OTRB. I so love going to #pawties especially if I can find the right hat. Oh, I forgot to tell you I’m famous for my hats *puffs out chest*! There are so many #pawties – the daily #TiggysTavern (@TiggyBean), plus each Tuesday there is the #caykclub (@mogsbear). Then on Thursdays we have #keepfits (@henryandfriends) followed by the #NipClub (@kingtuttifruiti). Every month there is the special 24 hour non-stop #NipClub (@ShaynaCat) and, in the Northern Hemisphere Summer, we can spend our weekends at the #LWP (@Petiethecat). I must admit I love visiting #dacoiffeeShop run by @FreshOtis & @tallulahsmom; their massages and facials are the best on Twitter but watch out for the hot tub! If that is not enough, then every week there seems to be a birthday, engagement or wedding #pawty to get dressed up for. Not forgetting #pawties for such events as the Olympic Games – #TeddyOlympics (@OllyTed) plus Easter, Halloween, Thanksgiving, Chanukah, Christmas and New Year! Also there is the exciting #AAAC (@TheNascarKitty). 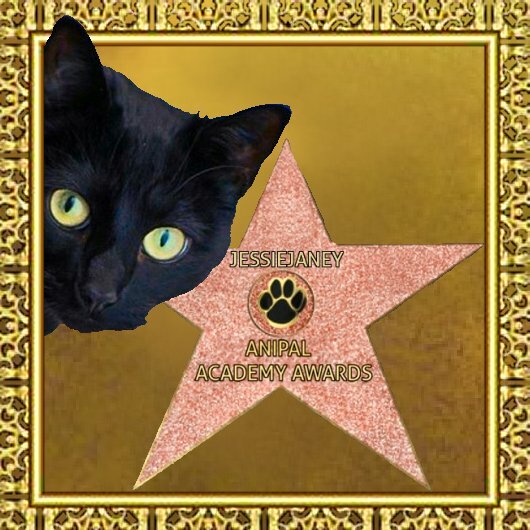 Yes we even have our very own Anipal Academy Awards! To keep you up to date with all that is happening have a look at the Event Calendar of “The Anipal Times”. So, if you are new to Twitter, I think I’ve given you some great links to find a #pawty and lots of furiends. It’s time to talk about what Twitter means to me. Friendship; pure and simple! As long as my creature comforts are taken care of then I just want to spend time on Twitter. It has blessed me with so many furiends, each in turn have given me love, laughter and shared their knowledge. Sadly, due to the craziness of the time zones, I can go weeks, even months without tweeting a furiend and for this I apologise. Our departure, in August 2011, for a month’s holiday from Twitter taught us both a big lesson. The phrase “sticks and stones may break my bones but words will never hurt me” may be true, but in this day of internet bullying we all must type our words with vigilance so as to never cause an eye to leak one single solitary tear of unhappiness. The more we rely on vehicles like Twitter to provide us with a means to communicate with our furiends the less ability we have to use our other senses (sight and sound). We can no longer see facial expressions or hear voice intonations to discern the meaning of the words expressed. From our experience, if you are feeling hurt by words addressed to you then take it to Direct Message. Nine times out of ten it will be a misinterpretation. Please never runaway like we did. Also *shame facedly* it will take you months to rediscover all the furiends who you once followed. We were so lucky to have so many furiends waiting patiently for us to return and I’m going to finish this bloggy by dedicating it to @toughteddybear. Since November, 2010 he and I played games on twitter using the #bestie hashtag. We may have lived 10,000 miles apart but our friendship was as close as two beating hearts. A truly wonderful platonic friendship is such a precious gem. Sadly on January 3rd, 2013 Teddy went OTRB but he is still with me … I feel him all around me! I will forever be grateful to have met my wonderful #bestie Jessie & her equally wonderful HuMum. 10,000 miles apart is nothing when there’s a true connection of the heart. Love you bunches!! !